Syria is just the latest huge agenda item Congress has to tackle this fall -- on top of the debt ceiling, the continuing resolution, the Farm Bill, and a push to defund Obamacare. I had a robust list of topics I was going to write about after Labor Day, but how can one write this week about anything other than President Obama's surprising (to say the least) announcement that he would submit to Congress a resolution to authorize the use of force in Syria? I believe Obama was right that he did not have to go to Congress; for an attack of the sort he has contemplated, there is ample and robust precedent for the chief executive to act. And as the brilliant constitutional scholar Philip Bobbitt wrote in Foreign Policy, the Founding Fathers did not expect Congress's authority to declare war to preclude a president from acting militarily; it "was never considered a precondition for entering hostilities but rather, as the Supreme Court observed in 1800 in Bas v. Tingy, a matter of 'perfecting' an otherwise limited war.… "
So why go to Congress? For a combination of reasons. First, it is the right thing to do, in the spirit if not the letter of the Constitution and the law, and it appreciates the strong views of so many members of Congress, including a slew of Democrats. Second, it forces Congress to move past second-guessing and carping and step up to the plate, taking responsibility and sharing in the consequences. Third, it creates a much more focused and well-covered debate over the next two weeks, which could alter public opinion, now strongly tilted against any military action. And fourth, an action taken after a congressional imprimatur carries more weight internationally. But the decision is still a riverboat gamble that enough members of Congress will, after a robust debate, understand that even if they are deeply reluctant to approve of a strike, the cost of disapproval would be too great. Riverboat gambles can pay off, of course. But there is a reason for the phrase "riverboat gamble," which Howard Baker used to describe the Reagan budget and tax cuts. It is a big risk. The nature of the risk was in some ways evident in the hearing Tuesday in the Senate Foreign Relations Committee, where the tough questions and most tense dialogue between senators and Secretary of State John Kerry came from New Mexico Democrat Tom Udall and Kentucky Republican Rand Paul -- on any other issue, a most unlikely duo. To be sure, plenty of strong liberals, including Barbara Boxer, a California Democrat, made clear that they support military action against Bashar al-Assad's regime. And it is most unlikely that the president will fail to get a majority, and probably a supermajority, in the Senate for a focused and stripped-down resolution written by Robert Menendez, a New Jerse Democrat, and Bob Corker, a Tennessee Republican, (although I am intensely interested to see what Senate Minority Leader Mitch McConnell, does, not to mention potential presidential contenders such as Marco Rubio. In the House, the striking statements of support for the president from both Speaker John Boehner and Majority Leader Eric Cantor -- without preconditions -- sharply increase the odds in favor of the administration. But the fact is that an unlikely bipartisan coalition of liberal Democrats and Tea Party Republicans -- the latter including some Paulites and some, probably a greater number, who will reflexively vote against anything supported by Barack Obama -- poses a real challenge to success. When I heard the president, that challenge was my first thought. My second was the larger dynamic of a congressional schedule already attenuated and overbooked. The House is scheduled to be in session for four days beginning September 9, four days beginning September 17, and one more day, September 30, a total of nine this month. It has scheduled only 14 days in October, and all of eight in November. Now, let's see, what do they have to do? Start with keeping the government functioning via appropriations or continuing resolutions for the fiscal year that starts October 1. Then there is the debt ceiling, with the drop-dead date for raising it coming somewhere around mid-October (the House is set to be away from October 12-27.) And there is the farm bill, with an urgent need to resolve it before September 30, when the current extension expires. It is hard to imagine that Congress will resolve the Syria issue in a couple of days of debate, especially since the House will be inclined to write and debate its own resolution, several committees will be clamoring to hold hearings, and most members will want to take time on the floor to explain their positions. Just as important, Syria will occupy the full time and attention of all the major players here, including congressional leaders, executive officials, and the media. But resolving the showdowns over spending and the debt limit, with their own end-game negotiations, also require the full time and attention of the same players, with the possible exceptions of the chairs of the money committees, the Treasury secretary, the head of OMB, and so on. And they can't make any decisions without the involvement of their superiors. I have seen many instances of an overloaded agenda with a limited amount of time, usually at the end of sessions or right before elections. But I have never seen anything quite like this. For Boehner, this could be a welcome excuse -- what Washington Post blogger Greg Sargent called an "escape hatch" -- to put off the fights over government shutdowns and debt-ceiling breaches for a couple of months. But that only would put off the time of reckoning; it will not solve the problems or lessen the chasm between the Republicans in Congress and the president and his Democrats over the fiscal issues, nor will it create a path to resolution of a farm bill that has been caught in ideological hell for a seeming eternity. 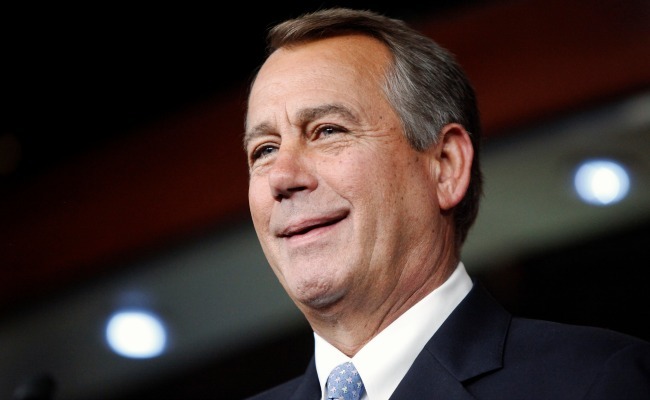 Maybe the alliance among Boehner, Cantor, and Obama on Syria will ease the way to a deal on spending and the debt limit. Yeah, right. Meanwhile, a right-wing chorus of outsiders such as Erick Erickson suggest that the Republicans should hold the funding for Obamacare hostage to their votes on a Syrian resolution, while Rush Limbaugh suggests that the Syrian rebels gassed their own people. As the Chinese say, interesting times ahead.